Char - Marathoner, Blogger, Designer of Crazy Tights. Run Amok tights came about from combining my two loves - running and designing activewear. I've been in the activewear industry for over 25 years and running for even longer. I've always found that I enjoyed my runs more when I was wearing something I loved. Something a little bit quirky. Something bright and fun. So I started making my own tights which really got noticed. I've searched the globe for fabrics that I loved and made me smile, developed functional patterns and road-tested my designs on runners of a wide variety of shapes, sizes and distances. Now you too can become a proud owner of a pair of Run Amok tights - or even two or three. 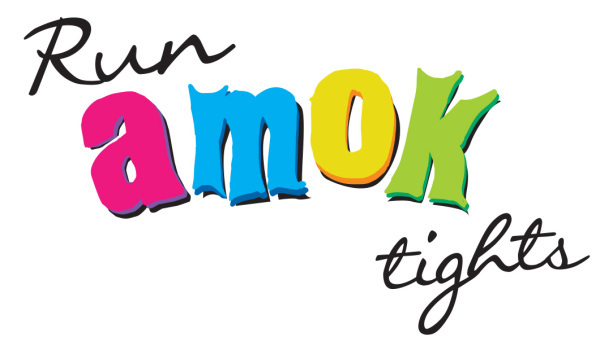 At Run Amok tights it's all about fun for your run. These workout tights will take your exercise routine to the next level with vibrant, funky and wild prints sourced from all around the world. The tights are all made in Brisbane and are made to order. They can be at your door within just a few weeks. But please note there may sometimes be delays due to high volumes of orders. Run Amok tights won't make you slimmer or make you run faster but I personally guarantee that they will get you noticed - whether it's at a marathon, parkrun, boot camp, yoga or just picking up the kids from school. Life is too short for boring tights so Run Hard, Run Loud, Run Amok!